If you were one of the early Facebook adopters, you’ll know that much has changed, growing from a simple page for your business, to ad campaigns targeted directly at the relevant audience. With the number of businesses getting online, the channels to market your business have grown significantly to match. Choosing the right platform to market your business might seem like a task at first. The thing to remember is that you’re looking to grow relationships with your customers to keep them coming back and make it easy for them to spread the word about you. Facebook has continued to be the preferred channel to reach out to your audience. It’s one of the best ways to make a great first impression on potential customers. When someone searches for something, it’s likely your business’ website and even your Facebook page pop-up. Your Facebook page serves as a visible online community, fully equipped with photos, business information, and a look into how your business communicates with its customer base. With all the changes Facebook keeps making to their algorithm that limit your ability to reach your audience, you want to make sure you have another way to reach them directly. Email marketing gives you the power to reach your contacts on your own terms. You can send a message to your contacts directly, and track your results to see which contacts are engaging with your content. Lead sign-up forms can help you gain new subscribers and customers. That way you can stay in touch by providing updates on new products or services, announcing upcoming promotions, or sharing other details about your business. Constant Contact customers can use the “Join My Mailing List App” that allows you to collect new contacts directly from your Facebook business page by adding a “Join My List” tab to the right-hand side of your page. When visitors to your Facebook business page click the tab, they can sign up for your mailing list through a customizable sign-up form. Facebook recently announced the call-to-action feature. This button appears near the “Like” button on your cover photo and is another great way to encourage email sign-ups. Everyone loves free stuff. Give Facebook fans an incentive to share their email address by running a contest on Facebook. Start by choosing a product, service, or opportunity you can give away — this could be anything from a coupon, gift basket, or free ticket to an upcoming event. Then, make it easy for your fans to enter. You can simply collect names and email addresses to choose a winner at random, or ask your fans to provide an entry relevant to your business. A simple way to get people to sign up is to show them what the benefits of joining your mailing list look like. The most effective way to do this would be to offer a free resource in exchange for an email address. Every so often you could offer exclusive content to your audience on Facebook. It could be anything from a free eBook to guides to even design resources to help them get started. You could even release exclusive content or deals on your blog, and remind your customers when that will be released through a Facebook post. Many companies offer a mobile-first influencer platform where you can engage and leverage with key influencers across many social networks. Social media plays a crucial role before, during, and even after your event. In fact, 40% of businesses use social media for event promotion. Encourage attendees to check in at your event, take photos, and post them to Facebook, Twitter, Yelp, and Instagram. Create a hashtag for your event, promote it well in advance, and then post it prominently the day of so customers remember to use it. You could even Live Stream your event and invite people to attend online if they can’t make it in person. Give your followers a peek into what they’re missing. This not only helps you promote your event, but it also helps you expand events into other areas beyond your backyard, if you generate enough interest online. 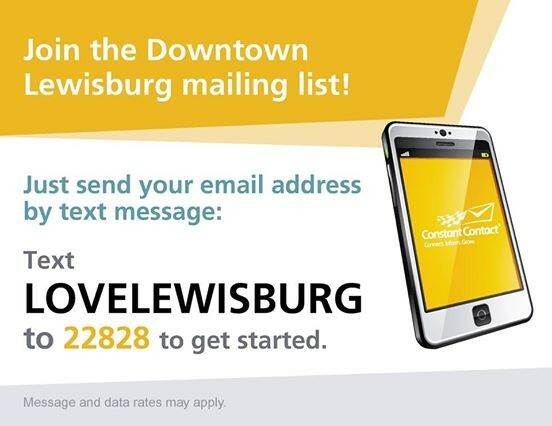 Here’s how Lewisburg’s Downtown Partnership collected over 100 new email sign-ups in just two days. You don’t have to pay to promote everything you share on Facebook, but if you’re selective and promote posts that drive action for your business you can see some great results. Try promoting an email and including an easy way for fans to sign up — make sure you’re taking advantage of the Facebook Ad targeting features, so you know you’re reaching the right audience. Taking part in a social cause allows your brand to post emotional stories that drive action. A Unilever consumer study shows 33% consumers are choosing to buy from brands that are doing social or environmental good. You can post an update that you’re running a social cause, and then ask people to join the cause by submitting their email. Engagement linked to updates that trigger emotions have been associated with how audiences share content on social networks. Calls to action like “Join this Cause,” or “I condemn the abuse of disabled children,” emboldens the audience to act, regardless of what they need to do. Once your Facebook campaign is successfully adding people to your email list, the most effective way to monetize this list is to continue to send subscribers content and offers that take them from prospect to paying customer. You can see even better results, though, if you run Facebook ads alongside your email marketing. For example, if you’re a florist, and your first email to a new subscriber is a discount coupon for a purchase. For your remarketing campaign, you could run an ad that features your products and reminds your email subscribers to use their discount code. Don’t let the year slip away! The year’s just begun, and while you want people to love your brand, the first thing you need to do is make them feel valued. Brand experiences can be fun, unique and memorable, so plan to provide an engaging experience to your customers. This turns them into more than just loyal customers – they become brand ambassadors and an extension of your marketing team.